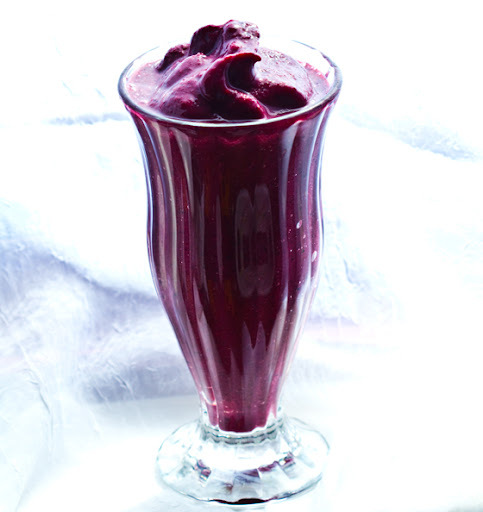 You may have heard of a Dark 'n' Stormy - well this is my Dark 'n' Frosty Acaí Smoothie. And I'm super excited about this recipe because with it, I've included my very first recipe video. 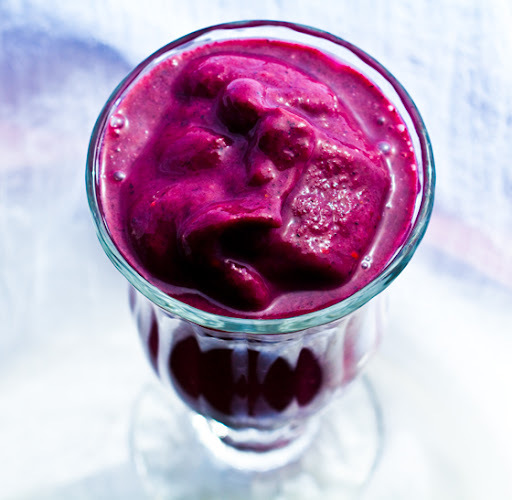 This is one of my all-time fave simple smoothie recipes. Check it out, and tell me what you think!.. Videos. I can't wait to start posting more videos for you guys. I especially want to compile enough so that I can eventually release a DVD - a collection of all my recipe videos and vegan/healthy living tips and quips. But in order to do that, I have to start small - so a simple smoothie recipe it is. Now while a Dark 'n' Stormy is infused with rum and ginger beer - my Dark 'n' Frosty is a frosty blended concoction infused with acaí, banana and blueberry. 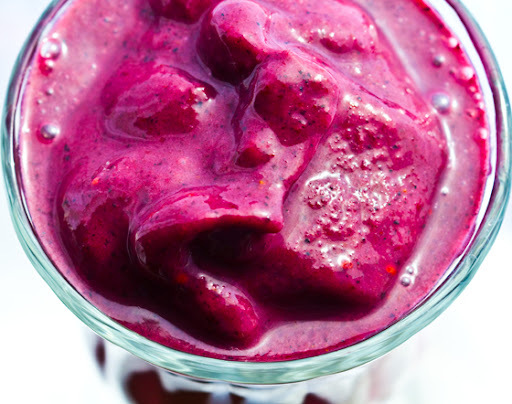 optional: frozen blackberries, strawberries or raspberries - if you add in more frozen fruit you may need to adjust liquid to compensate. More liquid = thinner smoothie. 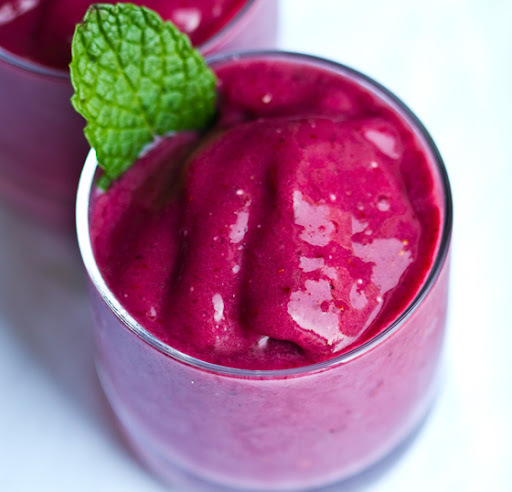 More frozen fruit = thicker smoothie. 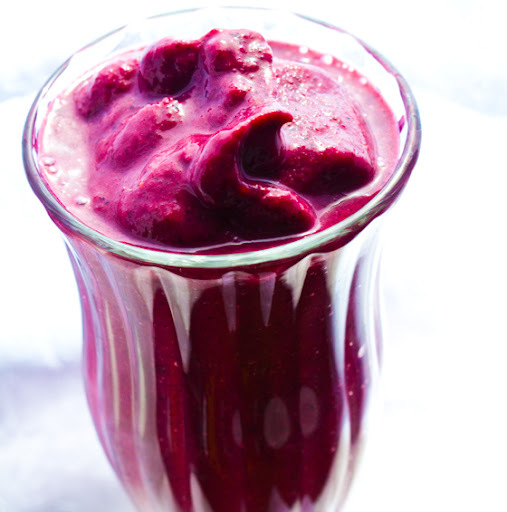 You can also use a frozen banana to thicken the smoothie a bit. ..that's it! Blend. Pour. Serve! See my video above.